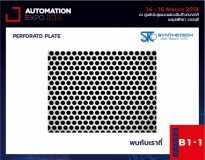 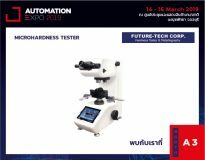 Select Exhibitor...A PLUS SERVE CO., LTD.ACCRETECH (THAILAND) CO., LTD.ADVANCE BUSINESS SOLUTIONS AND SERVICES CO., LTD.AIRPORT OF THAILAND PUBLIC COMPANY LIMITEDALLIED TELESIS (THAILAND) CO., LTD.APEX DYNAMICS (THAILAND) CO., LTD.ASIA-TECH POWER CONTROL CO., LTD.AUTODESK ASIA PTE.CERATHAI CO., LTD.CHIYODA KOHAN (THAILAND) CO., LTD.CONNEXALL CO., LTD.CST SUPPLY CO., LTD.EBRO VALVES TRADING (THAILAND) CO., LTD.ENTAIL TECHNOLOGY AND SUPPLY CO., LTD.EPICOR SOFTWARE (THAILAND) CO., LTD.ESTEL CO., LTD.FARO TECHNOLOGIES (THAILAND) LTD.FUTURE VISION ASSOCIATE CO., LTD.FUTURE-TECH CORP.GLOBAL FLOW TECH CO., LTD.GO INTER TECH CO., LTD.I.C.E. 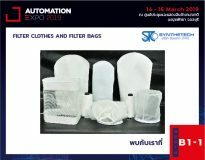 INTERTRADE CO., LTD.IAI ROBOT (THAILAND) CO., LTD.IBCON CO., LTD.INTELLIGENCE TOTAL SOLUTION CO., LTD.INTERNET THAILAND PUBLIC COMPANY LIMITEDINTERROLL (THAILAND) CO., LTD.INTRO EASTERN CO., LTD.INVERTER SOLUTION CO., LTD.JSR GROUPJUNGHEINRICH LIFT TRUCK LTD.KAISHAN (THAILAND) CO., LTD.KEYENCE (THAILAND) CO., LTD.KINGSTAR by IntervalZeroKTE CORPORATION CO., LTD.LEAFPOWER CO., LTD.LEGA CORPORATION CO., LTD.LERTVILAI AND SONS CO., LTD.M.T.K MARKETING CO., LTD.MITSUBISHI ELECTRIC FACTORY AUTOMATION (THAILAND) CO., LTD.MOVE (THAILAND) CO., LTD.NEXRAY (THAILAND) CO., LTD.O’CONNOR’S (THAILAND) CO., LTD.OGA INTERNATIONAL CO., LTD.ORIGIN PROPERTY PUBLIC COMPANY LIMITEDP.A.M. 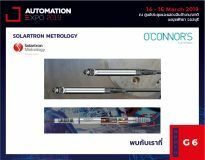 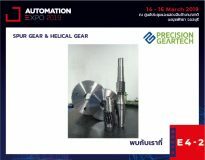 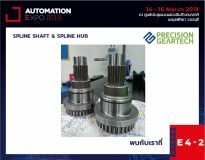 ENGINEERING & AUTOMATION CO., LTD.PANICH PART AND MOULD CO., LTD.PATLITE (THAILAND) CO., LTD.PHOENIX CONTACT (THAILAND) CO., LTD.PNEUMAX CO., LTD.PRECISION GEARTECH (THAILAND) CO., LTD.PRECISION TOOLING SERVICE CO., LTD.PREMIUM PLM (THAILAND) CO., LTD.PRIMUS CO., LTD.PT AUTOMATION (THAILAND) CO., LTD.QUICK ERP CO., LTD.REP FLOOR CO., LTD.RIVERPLUS CO., LTD.SATO AUTO-ID (THAILAND) CO., LTD.SEPTILLION CO., LTD.SMART MOTIONTECH CO., LTD.SYNTHETECH CO., LTD.SYSTEM STONE CO., LTD.T.G. 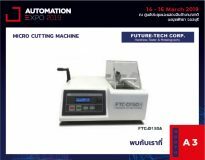 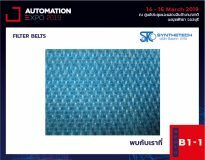 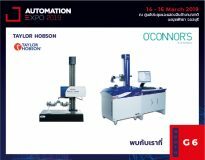 CONTROL CO., LTD.TAKNET SYSTEMS (THAILAND) CO., LTD.TEERACHAIPHAISARN CORPORATION CO., LTD.THAI POLYMER SUPPLY CO., LTD.THAISAKOL GROUP CO., LTD.TOYOX TRADING (THAILAND) CO., LTD.U-INDUSTRIAL TECH CO., LTD.ULTRA ENGINEERING CO., LTD.UTILE ENGINEERING INTERNATIONAL CO., LTD.VEERASIAM HARDWARE CO., LTD.VIRTUAL MANUFACTURING THAILAND CO., LTD.WORLD KOGYO (THAILAND) CO., LTD.YG-1 (THAILAND) CO., LTD.YILMAZ (THAILAND) CO., LTD.
FM-810 Series make precise Vickers (HV) / Knoop (HK) / Brinell (HB) / Fracture Toughness (Kc) measurements quick and easy. Copyright@2018 Green World Media (Thailand) Co., Ltd.